Ultimate Team is the most common mode played on FIFA ever since it was first introduced in FIFA 09. Over time we have seen a lot of improvements and changes to Ultimate Team that have made the mode much more enjoyable, changes such as FUT Champs (Weekend League) and Squad Building Challenges (SBC’s) which were both new to FIFA 17. However, even though we have had Ultimate Team for a while now, there is still some flaws to it and there is still room for improvements, additions and changes. Here are five Ultimate Team improvements that need to happen. Co-op seasons is something that Ultimate Team is lacking, however we know that it isn’t impossible for EA to implement. We already have Co-op seasons as a separate game-mode within FIFA, but it would be nice to have it also on Ultimate Team. EA could make it so you can decide which team you would want to use, yours or your partner’s team. It would also allow for another way for players to make Ultimate Team coins, as they could use a similar division system as the do for normal seasons on Ultimate Team. Except offering maybes a larger amount of coins to normal divisions since there would have to be something to make people want to play co-op seasons. This could be a great improvement if EA does it correctly. Daily tournaments are something we have never seen by EA before, so it would be something different. In FIFA 17, EA removed the online tournaments, and replaced it with the Daily Knockout Tournament for FUT Champs (Weekend League). The online tournaments weren’t anything spectacular but it gave people something else to play. 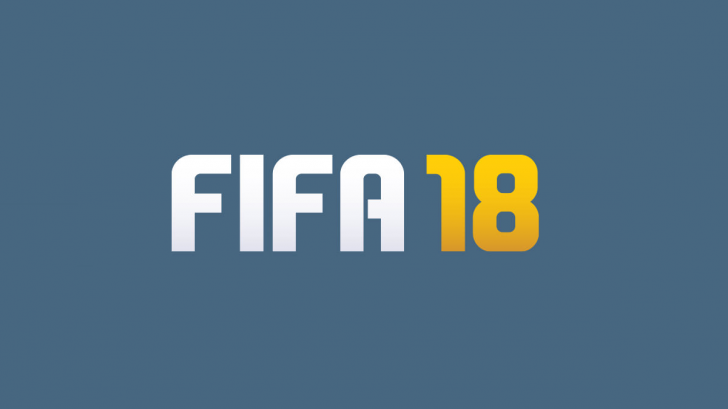 However, in FIFA 18, it would be nice to see tournaments (especially online tournaments) to return, but with a new and different tournament every day. This will give people much more things to do, and it would mean that we will see something different every day with endless opportunities EA have. FUT Champs was one of the best things EA have added to Ultimate Team in FIFA 17. However, it isn’t perfect, especially with the qualifying. At the minute, there is only two ways to qualify for FUT Champs and those are, get to Division 1 in online seasons and/or win the Daily Knockout tournament. It might not sound like there is a problem, but not everyone finds the Daily Knockout tournament easy to win. One of the biggest issues with the Daily Knockout tournament it that there is people playing it who are already qualified , which makes it much more difficult for people who are trying to get qualified. There is one way that EA can fix this, and it is by not allowing people who have already qualified to play the Daily Knockout tournament, and it isn’t all unfair. To make it fair for people who have already qualified, EA can introduce other tournaments (such as the Daily Tournaments talked about above), which means that players shouldn’t have to play the Daily Knockout tournament. Currently, the rewards given whilst playing single player seasons are very poor. Not everyone likes to play online seasons, and since there is a big gap between the rewards in single player seasons to online seasons, it makes it unfair for those single player season players. Single player seasons may be much easier matches to play, since you’re only against the computer, but the huge gap between the rewards isn’t justified. I think that there needs to be a slight change to the rewards received in single player seasons so that they are almost as good as online seasons. However, online seasons should still be more rewarding, EA just need to think more about the people who only play single player or play it more. The catalog is a place where many Ultimate Team users go when they first start the game to get off onto a good start as it offers a lot of different items which are purchased using your catalog coins. These items include things such as coin boosts, loan players, 99 player contract, increased transfer list, and it goes on. However, there is more potential for the catalog. It would be nice to see in FIFA 18, the ability to buy draft tokens (providing it is in FIFA 18) with your catalog coins. This would be a nice addition because you don’t come across draft tokens often in packs, and the entry to the draft can also be considered expensive by some players. Being able to buy draft tokens will be a good idea. Another thing that could be changed is the amount of loan players there is on offer. At the minute, there is only a couple of high tier players available on loan. It would be nice for players to be able to try more high tier players since a loan player could be as close as they will come to some players. Ultimate Team is a game mode which is always changing and evolving, so there is possibly more than five changes and additions to Ultimate Team. However, these are maybes the five most important changes and additions we need to see in FIFA 18 Ultimate Team. Let us know in the comments what you would like to see changed, improved or added to Ultimate Team in the next game.